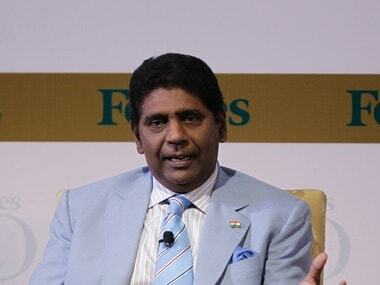 The All India Tennis Association (AITA) on Tuesday terminated the contract of Vijay Amritraj's Champions Tennis League due to a breach of contract, much to the shock of the former star, who says the move has come at a time when they were striving to revive the League. 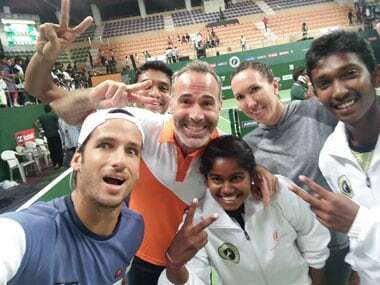 Hyderabad Aces tonight defeated V Chennai Warriors 25-19 in a Champions Tennis League (CTL) match at the Sports Authority of Telangana State stadium here after the host team won four of the five sets in the match. 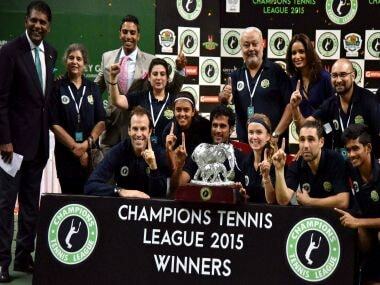 The Nagpur Orangers beat Hyderabad Aces 22-20 in a Champions Tennis League (CTL) clash. Indian tennis will be served well if our young men and the juniors keep their head above shoulders and use these opportunities to harness their skills and journey higher in their pursuit of the sport. Punjab Marshalls swept the first home tie 23-15 against Raipur Rangers in possibly the most exciting tie of the Champions Tennis League. They might have shared a frosty relationship leading to a break-up of their doubles partnership but Mahesh Bhupathi on Friday said that he ran after fellow Indian tennis great Leander Paes to be a part of the inaugural IPTL season last year before taking him on board this year. 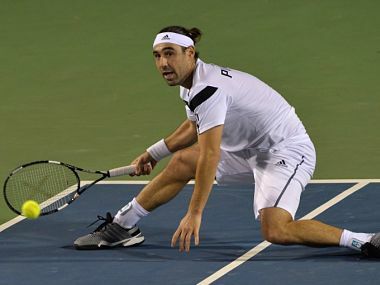 Former World No 8 Marcos Baghdatis came up with a dominating performance to beat Colombian Santiago Giraldo 5-4 in the men's singles match as visitors Punjab Marshalls defeated hosts Mumbai Tennis Masters 21-19 on the opening day of the Champions Tennis League (CTL) second season here on Monday. Pune Marathas made a remarkable recovery from 0-2 down to win their next three matches in a row as their contest against Bangalore Raptors ended in a thrilling tie to run away with a bonus point in the Champions Tennis League.